Home/Archive by Category" Cell Phones / EMF"
UPDATE: Watch Senator Blumenthal’s press conference on the dangers of 5G: View it here. As the Senator notes, despite the FCC’s assurances that 5G is “safe,” “We need evidence.” And classified evidence is NOT enough. Washington, D. C., December 3, 2018: The National Institute for Science, Law & Public Policy (NISLAPP) applauds Connecticut Senator Richard Blumenthal (D-CT) and Congresswoman Anna G. Eshoo (D-CA) for pressing FCC Commissioner Brendan Carr, Esq. (Link downloads PDF file) to provide documentation substantiating the Commissioner’s remarks defending ‘5G safety’. They said his own constituents have similar concerns about 5G, and that they want to provide them with accurate information. Senator Blumenthal and Congresswoman Eshoo said we “are interested in acquainting ourselves with the latest studies evaluating the health effects of high-band frequencies and modulations that would be used in 5G networks.” They noted, “Most of our current regulations regarding radiofrequency safety were adopted in 1996 and have not yet been updated for next generation equipment and devices.” They also mentioned the large U.S. government-funded study by the National Toxicology Program, published this year, using earlier generation technologies (2G and 3G), showed a link between radiofrequency radiation and cancer. The Communications Workers of America was present at the press conference, as was science writer and expert in electromagnetic fields, B. Blake Levitt. See Levitt’s remarks. (Link downloads PDF file). The National Institute for Science, Law and Public Policy considers Senator Blumenthal and Congresswoman Eshoo’s line of inquiry about the extent of safety evaluations of next generation 5G radiation to be critically important. Camilla Rees, Senior Policy Advisor to NISLAPP, says, “All Members of Congress, as well as state and local government officials, might consider asking similar questions about the new, different and dangerous fifth generation radiofrequency technologies that the telecom industry intends to deploy widely within our living environments, and about which scientists around the world are warning. (Link downloads PDF file). We recommend Members of Congress and state and local government officials seriously evaluate safer alternatives to ‘antenna densification’ and the many angles (Link downloads PDF file) from which 5G distributed antennas are a very serious mistake for the United States. Levitt – 5G Information Sites for Media (Link downloads PDF file). 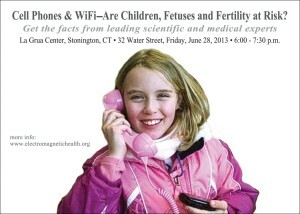 The Emerging Public Health Issue From Cell Phones and Wireless Technologies. The trillion dollar wireless communications industry has grown to dominate our lives over the past decades yet little concern has been paid by U.S. public health officials to the long term health risks from continually bathing ourselves, and our children, in electromagnetic fields. Warnings From Around the World. Independent scientists, as well as physicians and psychologists the world over, say the human health stakes from EMF (electromagnetic field) exposures are comparable to those from tobacco and asbestos, and even greater as in this case the entire population is exposed. DNA effects, including fertility effects, experts say will likely be irreversible for the species. Special Vulnerability of Children, Fetuses and Sperm. Children’s bodies and brains are more vulnerable and they face a longer lifetime of exposure. Exposure to electromagnetic fields in utero is correlated with health challenges such as ADHD, emotional problems, asthma, obesity and possibly Autism Spectrum Disorder, but expectant mothers and parents are not being told about the risks. What Independent (NonIndustry Funded) Science Shows. Biological effects from the radiation emitted by cell phones, routers, portable phones, iPads, and wireless baby monitors are well documented. Decades of research, including research funded by the telecom industry itself, shows indisputable physical, mental and emotional risks, while government turns a blind eye, in effect protecting the industry, and its own economic interests, instead of public health. Ways Other Countries Are Limiting Children’s Cell Phones and Wireless Exposures. Countries around the world, as well as the European Parliament, are advising limiting radiation exposures for children, the elderly and people with compromised immune systems. In the U.S., we are increasing exposures for children and infants, and the general population is virtually ignorant of effects on fetuses. Join us on Friday, June 28, 2013 at 6:00 p.m. for a lively discussion about this emerging public health issue with leading experts from top universities. Learn ways you and your family can adjust your environments to minimize exposures and to optimize cognitive function, learning capacity and health and fertility prospects in a wireless world. Citizens for Health is calling attention to the new report, “Getting Smarter About the Smart Grid” because, in addition to the wasted money, unsafe technology, intrusions on privacy, and manipulation of energy bills, so called “smart” meters are alleged to pose serious health hazards to a significant number of people. Please read the material below and urge your Senators and Member of Congress to look into the “smart” meter question and support holding public hearings on the problems that “smart” meters pose. — Click here to take simple, swift, and effective action. Here are the report’s press release short form, full website, and pdf. To dive right into the report and the issues it discusses, listen to this media and community conference call led by these four leaders in Smart Grid improvement and attended by over one hundred people. 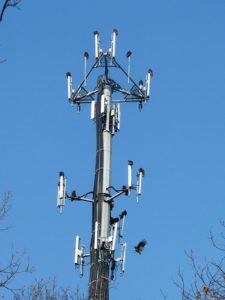 Washington, D.C. – Citizen-activists are being urged by Citizens for Health, the American Academy of Environmental Medicine, and the EMF advocacy group, ElectromagneticHealth.org, to contact their representatives in Congress to request the Federal Communications Commission (FCC) to update its obsolete cell tower safety regulations. A vast body of scientific evidence has accumulated pointing to wide-ranging biological disruption to adults and children from wireless radiation, include immune, neurological, cardiovascular, cognitive and endocrine system disruption, as well as DNA damage and potentially irreversible harm to the genetic code. (See Seletun Scientific Statement http://electromagnetichealth.org/electromagnetic-health-blog/the-seletun-statement/). To protect the public from risks from radiofrequency radiation (RF) the FCC must establish new safety guidelines for cell towers, Wi-Fi and cell phones that reflect the current science showing harm to human health, wildlife and nature. ONLY A PUSH FROM MEMBERS OF CONGRESS WILL GET THE FCC TO MAKE THIS HAPPEN. PLEASE ACT NOW – CLICK HERE. TAKE ACTION NOW – CLICK HERE! 1) Low-intensity (non-thermal) bioeffects and adverse health effects are demonstrated at levels significantly below existing exposure standards for telecommunications and power utility technologies in developed and developing countries. 2) ICNIRP and IEEE/FCC public safety limits are inadequate and obsolete with respect to prolonged, low-intensity exposures common today. Given the existing potential for global health risks from ongoing radiation from electromagnetic fields, the Seletun Scientific Panel says governments should educate and warn the public, implement measures balanced in favor of the Precautionary Principle, monitor compliance with directives promoting alternatives to wireless, and fund research and policy development geared toward prevention of exposures and development of new public safety measures, as well as new, safer communications technologies. – Dr. Robert O. Becker, MD, orthopedic surgeon, author, pioneering researcher in the field of bioelectricity and twice nominated for a Nobel Peace Prize in medicine. If you receive no response from any of your elected representatives, follow up and ask for a copy of the letter the representative sent to the FCC. Keep at it until the letter is received, plus any agency response. Thank each elected official and ask them to follow up. If the elected representative provides a copy of his/her letter to the FCC, you may want to provide a copy of that letter to his/her local newspaper. “50+ EMF Safety Tips & Insights” is an overview of cell phone and wireless technology hazards prepared for the convenience of media, physicians, health practitioners, parents, schools, and patients with chronic or unexplained illnesses by leading health and environmental activist, Camilla Rees, MBA. Read this foundational education and share! World Health Organization’s International Agency for Research on Cancer has classified cell phone radiation as a ‘Possible Human Carcinogen’ (Class 2B). This provides the 1st official scientific basis on which governments, schools and parents can now legitimately call for precautionary behavior regarding these radiation-emitting devices. San Francisco, a city that banned the plastic bag, now has waded into the muddy territory of cellphone radiation, setting off a call to arms in the $153 billion wireless industry. Last week, the Board of Supervisors passed a law — the first in the nation — requiring retailers to inform their customers how much radiation the cellphones on their shelves emit, so shoppers can figure out how close the devices come to the upper limits on radiation set by the Federal Communications Commission. The law, which goes into effect early next year, didn’t mention the word, but it was all about one thing: cancer, and whether cellphones cause it. cellphone industry answered with its own C-word — cancel. After the vote, the CTIA wireless trade group called off its fall show, scheduled for San Francisco. Elsewhere in the country, the industry has been more successful. Earlier this year, similar laws in Maine and California were beaten back by the makers of the iPhone and Droid and the telecom giants that carry those phones on their networks. Lacking conclusive evidence one way or the other, studies relating to cellphone safety are being hurled about frenetically as cellphones grow ever more powerful and pervasive: Americans have more than 285 million mobile phones at their ears, and the number in use globally reaches 4.5 billion. In 2006, Lennart Hardell, a professor of oncology and cancer epidemiology at the University Hospital in Orebro, Sweden, reported that adults he followed who had used cellphones for more than 10 years “give a consistent pattern of increased risk for acoustic neuroma and glioma,” forms of brain tumors. That study has been used as the basis for public health alerts by way of commercials, billboards and warning labels in nations including Britain, Israel, Finland and France, but it has had little resonance in the United States. Today was a very important day in San Francisco! The San Francisco Board of Supervisors passed Mayor Gavin Newsom’s cell phone ‘right to know’ ordinance that will require retailers to post warnings of cell phone radiation risk at the point-of-sale. The ordinance, postponed last week to today to address legal liability concerns of the City of San Francisco and small business owners, passed with flying colors. In fact, it passed despite heavy lobbying by the telecommunications industry. To be enacted into law, there is first a 10 day comment period before the Mayor signs it into law. This is a watershed moment for health advocates in the U.S. and families who have or have had members with brain tumors. San Francisco is the first city in the country to require radiation disclosure data at the point of sale. Warnings were proposed in Maine in March, by Rep. Andrea Boland, and in the State of California in recent weeks by Sen. Mark Leno, but both bills did not pass. The SAR value to be required at the point-of-sale in San Francisco is a measure of the power of the phone. The exposure limit in the U.S. is 1.6 W/Kg, for this type of radiation, and the guideline was based on an assumed 6 minutes of cell phone radiation exposure. Please note, however, the SAR is not a complete gauge of cell phone safety. See my article on this at Mercola.com (http://sn.im/xgd6d). The cell phone SAR value does not accurately reflect the potential for biological harm from the frequencies of the communication, and, very importantly, there are also some biological effects that have been shown to be worse at lower SAR values compared to higher SAR values, such as blood brain barrier permeability. In no way should consumers be relying on the SAR value alone as a measure of safety, but instead realize it is how one uses a cell phone (speaker phone or headset vs. against one’s head) and for how long that matters most. According to Doug Loranger of SNAFU, the San Francisco Neighborhood Antenna Free Union, “The new law will be phased in over the next 2 years, with large formula retailers to be the first to comply, followed by small independent businesses that sell mobile phones”. Just today, in Seoul, Korea, a presentation at the Bioelectromagnetics Society annual meeting (http://www.bioelectromagnetics.org/bems2010/) by Lloyd Morgan, B.Sc. showed that the risk of brain tumors from cell phone use is in fact much higher that the recently published Interphone study acknowledged. Entitled “Re-evaluation of the Interphone Study: Application of a Correction Factor” (http://sn.im/xd8ex), the report, co-authored with Professor Michael Kundi of the Medical University of Vienna and Michael Carlberg, M.Sc. of the Department of Oncology, University Hospital, Örebro, Sweden, quantifies the extent of the underestimation of risk of brain tumors from cell phone use on account of the 12 design flaws, now widely reported on. Please read the full Press Release and audio news releases on this important new scientific report at http://sn.im/xd8ex. Interphone Study Design Flaws from ElectromagneticHealth.Org on Vimeo.